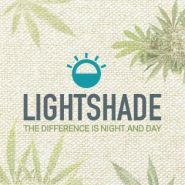 Established in 2011, Lightshade has a reputation for growing the best quality genetics in Colorado. With all of the marijuana dispensaries in Denver, Lightshade has the highest THC levels in lab results for our marijuana strains, it’s no surprise that cannabis connoisseurs from Colorado and around the world continue to visit Lightshade for all of their pot needs. Our shops include a huge selection of pot including edibles, concentrates, tinctures, topicals and merchandise. Visit one of the Lightshade stores today to see why the difference is night and day.